The sounds of engines roaring or distant birds singing makes many Fujifilm sport and wildlife photographers reach for the longest lens they have. It’s like there’s an unspoken race that ignites – and the winning prize will be their best shot. Typically, in order for this select crowd to get close enough, you’re bound to witness these photographers using one of two lenses, either the Fujifilm XF55-200mm or popular XF50-140mm. In most cases after watching them a while they’ll creep closer to their subject as they exceed the current telephoto zooms of the lens. It’s at this point after they miss the shot you can almost hear the photographer say, ‘I wish I was closer!’. If you’re a sports or wildlife photographer, something that’s a common thought is the unwritten law of telephoto lenses. It goes something like this: no matter what lens you have there’s always going to be a longer one that you’ll want! And that’s exactly the case with the newly announced Fujinon XF100-400mm F4.5-5.6 R LM OIS WR lens. Weighing 1379 grams, this lens features one of the world’s best optical stabilisers in its class. At 609mm at the longest end in 35mm equivalent terms you’re bound to get closer no matter what the subject. What’s even better, if 609mm isn’t enough then just couple the lens with the new Fujinon XF1.4X weather resistant teleconverter and you’ll be photographing at 853mm (35mm equivalent)! 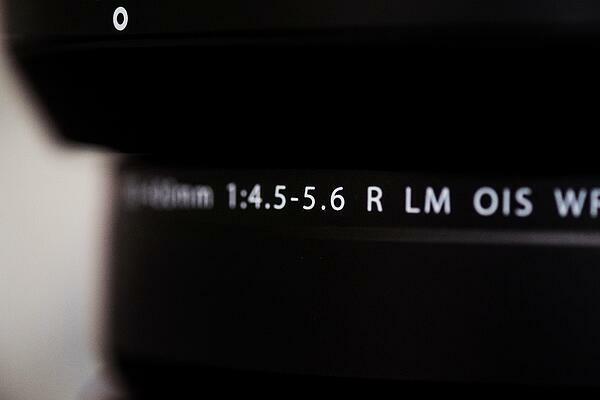 Moving onto the features, on the side of Japanese made lens you’ll notice four switches. Starting toward the front of the lens is the ‘LOCK’ switch. When activated it disables the lens from zoom, making it the perfect feature for storing the lens for travelling. Located under the iconic red XF lens badge is the focus limit switch, which is essential for many wildlife photographers. Take this scenario for an example. If there was a lion in the distance and grass in the foreground it would make sense to limit the focus past five metres. This is so the lens won’t focus on the grass subject in the foreground, but rather on the lion in the background. The switch features two settings: ‘FULL’ provides a full range of focus, whereas ‘5m-∞’ limits the focus from 5 metres through to infinity. 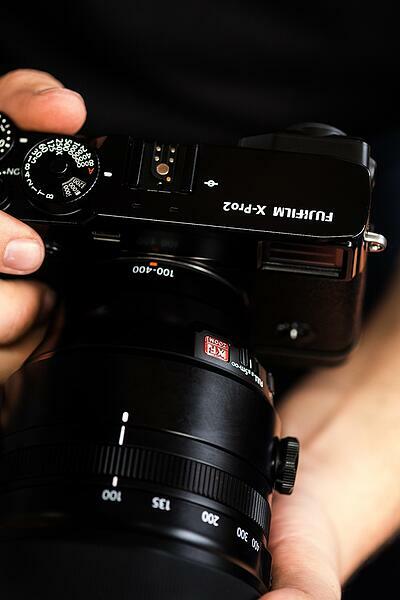 The last two switches, the Aperture switch and Optical Image Stabilisation Switch (OIS) are settings many X-Series photographers are familiar with. With the aperture switch you have the ability to either select manual or automatic and the OIS switch can either activate the 5 stop equivalent stabiliser or deactivate it. 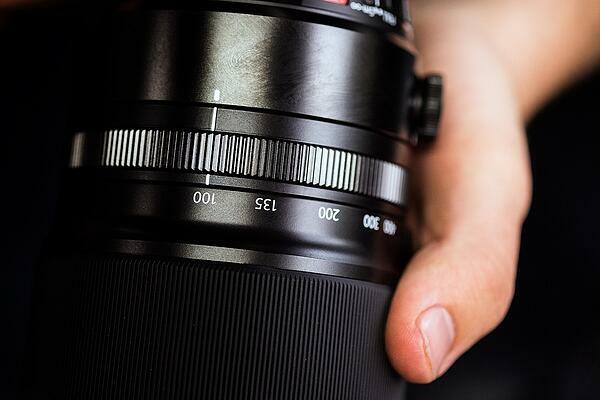 Something you'll notice when you pick up this lens is the beautiful design, both in image quality and manufacture. 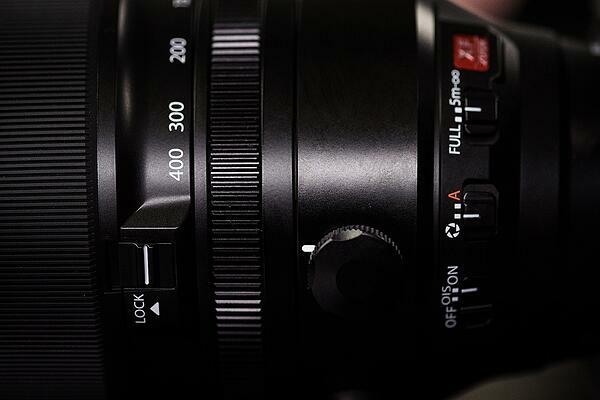 The way the R&D team have constructed 21 glass lens elements into the mount is quite amazing. 5 of the glass elements are ED (Extra-Low Dispersion) glass and one is Super ED glass. What this means for your photos is there's a significant reduction in chromatic aberration resulting in sharp, high contrast beautifully colourful images that don't require heavy post processing. At an 77mm lens diameter the front element of the lens is quite large. It's large because it needs to support an incredible aperture range of F4.5-5.6 (or F6.3-8 with attached XF1.4X Teleconverter WR). Featuring an additional fluorine coating, this extra special layer found on the front element champions' beading and promotes water runoff so the glass is left clearer without leaving water droplets everywhere. Further to this, no matter what the environment the weather and dust resistant XF100-400mm lens should keep you shooting. So, whether you’re using the Auto Panning Shooting technology in the rain to photograph your next car race or utilising the optional Fujifilm Swiss Arca release plate to mount onto the side of a vehicle for wildlife photography, then the XF100-400mm will be there to capture those ‘closer’ photos. To order this much anticipated lens head into your local Fujifilm X-Series stockist and ask for a demo - you won’t be disappointed! 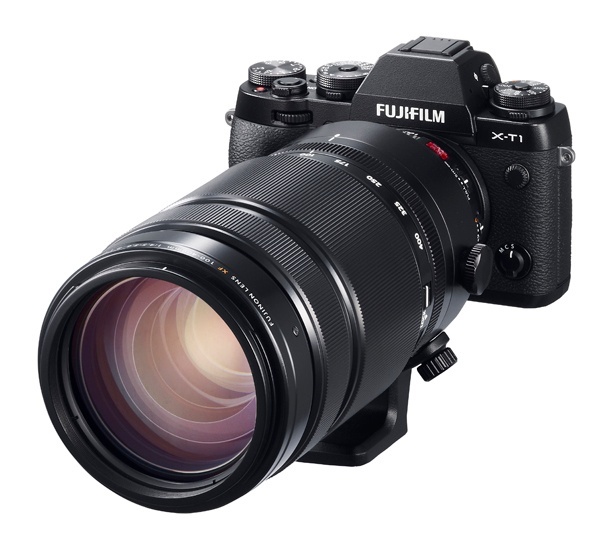 The XF100-400mm will be available mid Feburary 2016.